Today I'm sharing my favorite planning resources for 2019. I originally considered sharing a variety of choices, but the internet is flooded with posts similar to this, that a simple Google or Pinterest search will provide for you. Instead, I'm limiting this post to the resources I either have used in the past, or plan to use again this year. But if you're looking for other options, you'll find more than you need here! 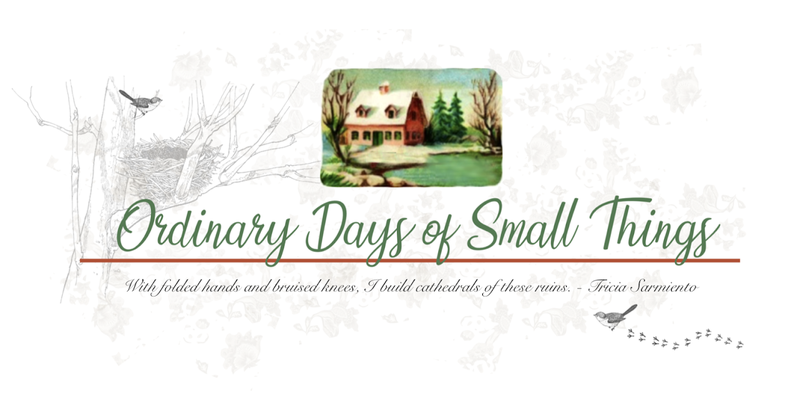 This will be my third year to use the chalkboard style calendar from Botanical Paperworks. I typically download it about this time each year and save it to my computer. Then at some point during the last week of the month, I'll print out the calendar for the upcoming month and hang it on my refrigerator. 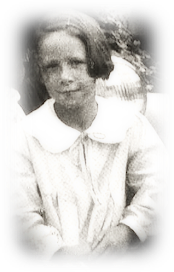 One year I kept three months at a time at easy glance, but I didn't like the busyness of it. In most months there are two calendars, the current month and the upcoming month, displayed for about a week, but then after that I take the previous month down that there is only the current month displayed. I like to keep things on my refrigerator to a minimum, so this is what works best for me. 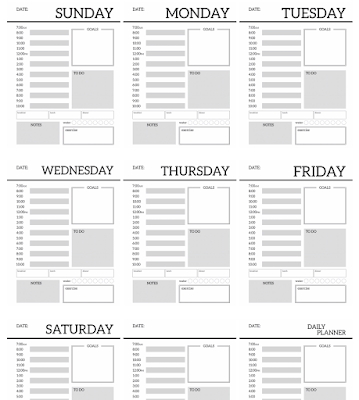 In years past I've downloaded and printed a number of planner pages, and truth be told, I seldom used them. Every year I tell myself that this will be year I'll be more organized and actually use a planner, and I'll typically spend half a day, downloading, printing, hole punching and setting up a system. I'll even use it . . . . for a bout a week. I think my record for actual use is right at two months, and even that wasn't consistent on a daily basis. If over the course of a few months I see that I'm being consistent and that the layout is working for me, then I may print a months worth of pages and see how it goes. But until I find that I am committed to using the format and layout, I'm going to spare myself the time and expense of all the printing and compiling. 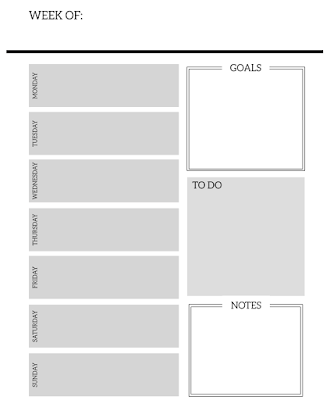 I do have a planner I intend to use for blogging, but it is digital. I've never used a digital planner before, but so far it seems to be working. So devising some sort of digital planner might work for me as well, I'll just have to wait and see. In the past I've preferred pages I could see and touch, but as I mentioned, my track record for actually putting them to use is poor, and that's a lot of time and money wasted for something I may not use. 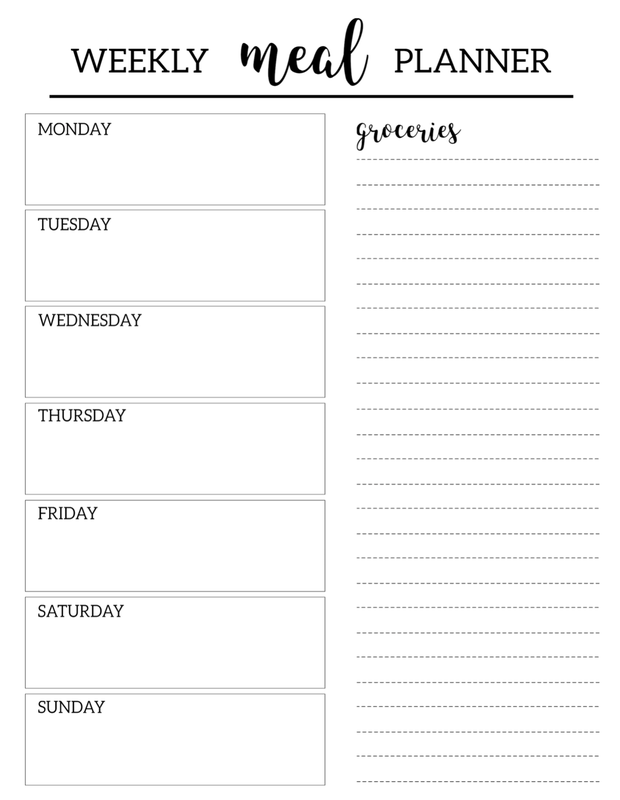 A weekly meal planner and grocery list, however, is something I think I could really benefit from printing out and using, or I may opt to simply use this format and include it in my spiral notebook. Now that Bill and I are back together, I need to include his dietary preferences, and he has also helped me to see that I have a tendency toward making too much food. It's been a struggle, because I have a lot of meals that I enjoy making and eating, but it doesn't often occur to me that most recipes are written to feed a family. Bill has specific dietary needs related to his health, and Kate is a bit pickier with food, and/or is often not at home. Frequently I will make a meal only to discover that I'm the only one who will be eating it, FOR A SOLID WEEK! :). Some meals can be frozen, but then there's the little problem I have with remembering to check my freezer inventory before planning to make more meals that will then also have to be frozen! This is an area I could definitely use some improvement in. I need to a.) get better at condensing recipes, say halving them, or perhaps even only making a fourth of what is called for, and b.) learn how to freeze things better so that they aren't ruined by freezer burn (a common occurrence), and then incorporating what I do freeze into the menu rotation. If I can succeed in both of these areas, it will save me a lot of time, effort and resources, as well as cushion our budget a little. 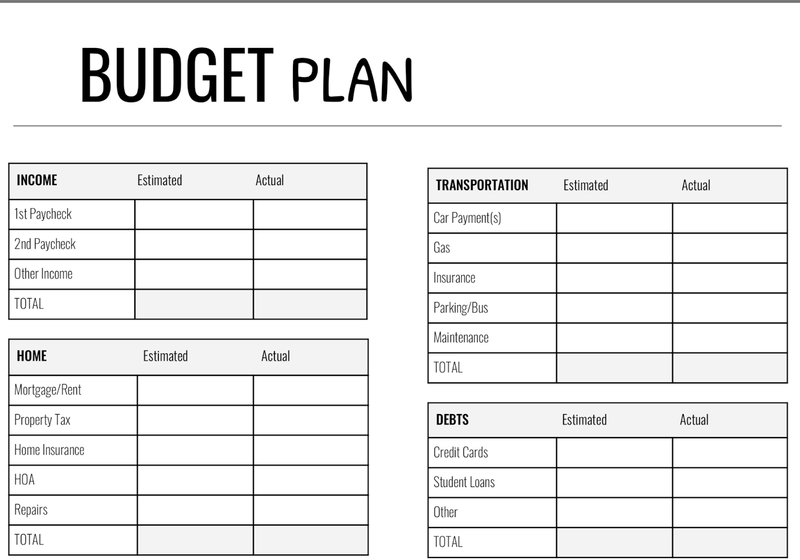 I have a system for keeping track of my budget that has worked well for me for years now, so I don't see the point in fixing what isn't broken, but if you're looking for a simple, straight forward tool for tracking a personal or household budget, the format below should do the trick! In the weeks to come, as I put my ideas for planning into practice, I'll keep you updated on how they are working. 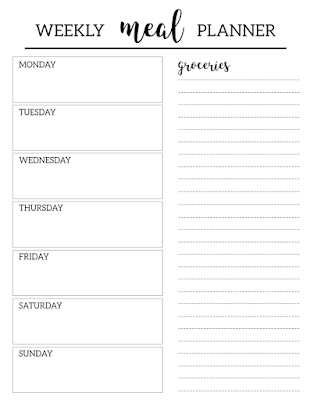 I am sure that I will have to tweak things a bit until I get it exactly the way I want it, which is one of the reasons why I believe pre-printed planners have never worked for me. Every time I commit to one, I quickly discover that it doesn't include everything I need. 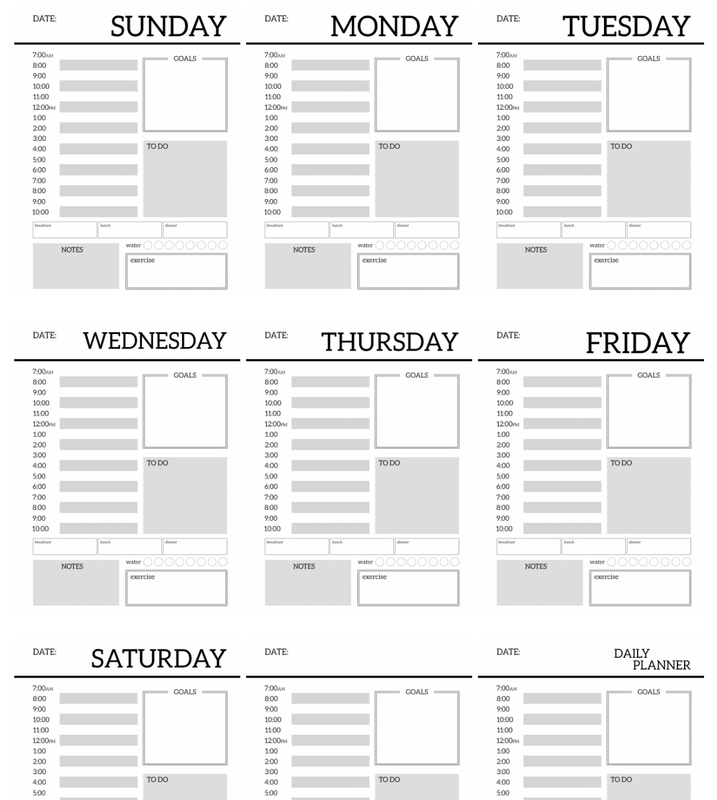 I've toyed with the idea of making my own planner for several years, but once again, until I've consistently worked with a format long enough, I don't even know what I want it to include. That is why I am hoping this year by mapping it out in a spiral notebook, it will reveal exactly what I need! In the mean time, if you have a system or resources that work well for you, please share! It could be just the element I'm looking to incorporate!